Sir Francis Grant was the fourth son of a Scottish laird, he was born in Edinburgh and educated at Harrow. Passionately devoted to fox hunting and to painting, he spent his patrimony on the former, but more than recouped it there with his brush. At age 31 his circumstances forced him to turn professional. He received some instruction from his hunting friend, Fereneley, whose influence can be detected in his work. Handsome, well-connected and with charming manners, he rapidly attracted notice with his equestrian groups, many of which were engraved. The Melton Hunt Breakfast became the best known. 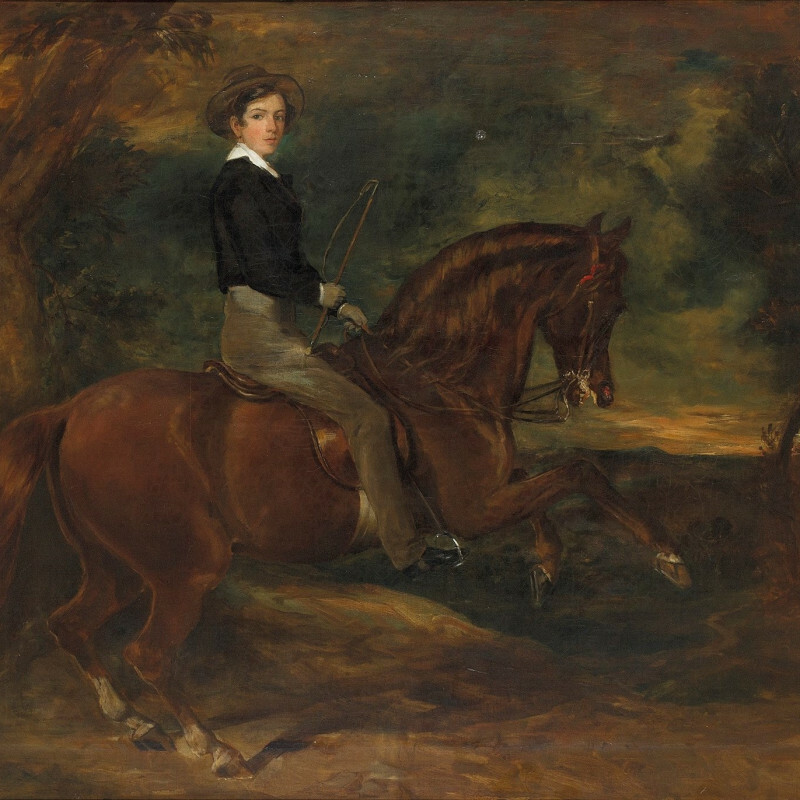 His picture of Queen Victoria riding with Lord Melbourne in Windsor Park made him the most sought-after portrait painter of the day, and for the rest of his life he exhibited regularly at the Royal Academy. He was elected ARA in 1842 and full RA in 1851. After Landseer’s refusal of the honour, he was elected PRA in 1865. He exhibited 253 works at RA, 7 at BI and 9 at SS.